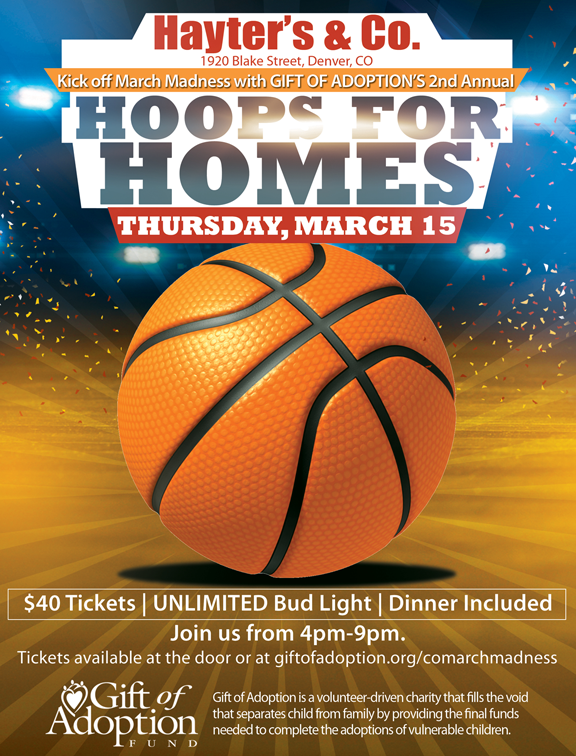 Bring your friends, colleagues, and all sports fanatics to the second annual March Madness watch party benefiting Gift of Adoption. Your $40 ticket purchase will help kids get adopted locally, giving them a permanent home. Ticket includes your choice of one menu item, unlimited Bud light and more. All proceeds benefit Gift of Adoption Colorado and will be used to provide adoption assistance grants to complete the adoptions of vulnerable children into Colorado families.